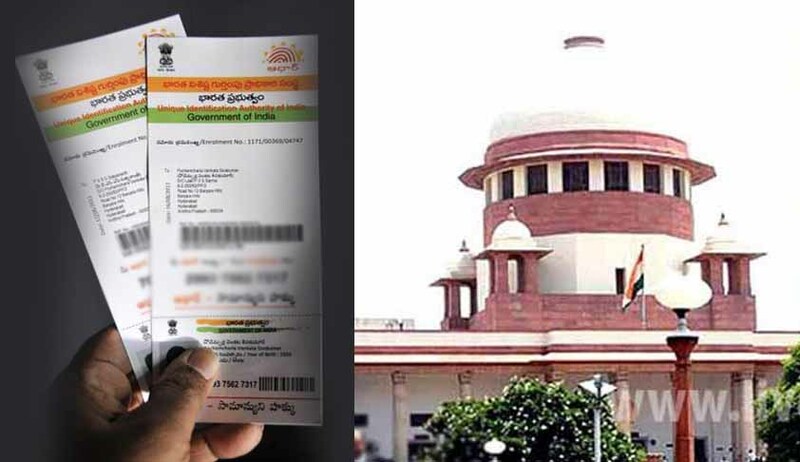 Supreme Court of India on Tuesday has referred a new petition challenging the constitutional validity of Aadhaar (Targeted Delivery of Financial and Other Subsidies, Benefits and Services) Act to the Constitution Bench dealing with the Aadhar MATTERS. The Petition filed by Ramon Magsaysay Award winner Shanta Sinha and feminist researcher Kalyani Sen Menon also challenged the notifications issued under Section 7 of the impugned Act, by various Ministries, making possession of Aadhaar number as a mandatory pre-condition for availing 17 social benefits schemes like Midday meal, Disability pension etc. A bench led by Justice A K Sikri, which has reserved the order on petitions against compulsory linking with PAN, admitted the petition but refused to pass any interim order at this stage. “Why are so many petitions being filed? They should be clubbed with the main petition which is yet to be heard by constitution bench”, said Justice Sikri. Senior Advocate Shyam Divan referred to the Central government's notification which made mandatory linkage of Aadhaar to welfare schemes. He submitted the same is arbitrary and against the individual privacy. According to the petitioners the UIDAI platform, i.e. the Aadhaar database is being utilised to effect each and every aspect of an individual’s life—from holding a valid PAN card, filing income tax returns, maintaining a bank account, getting scholarship, giving examination, admission in colleges, domestic air travel, having a mobile connection etc. Petitioners submitted that that the Government departments have given a deadline of 30thJune 2017 under most of the Notifications issued under Section 7 of the Aadhaar Act, for an individual to obtain an Aadhaar number in order to continue receiving benefits under government schemes. Accordingly, from 1st July 2017 an individual who is not willing to part with his personal biometric information will be denied social benefits, which he/she is otherwise entitled to, on the sole basis of non-production of an Aadhaar number.